The United Nations has called for an expansion of immunisation to combat the threat of polio and other preventable diseases, after two cases of a vaccine-derived form of the virus were detected in northern Rakhine State. The World Health Organization and the UN Children’s Fund said the cases were the result of poor immunisation coverage, and showed that the government and parliament needed to prioritise immunisation in the national budget. “One immediate step to help reaching this goal is to prioritise vaccines and cold chain in the government’s health budget,” they said in a joint statement. 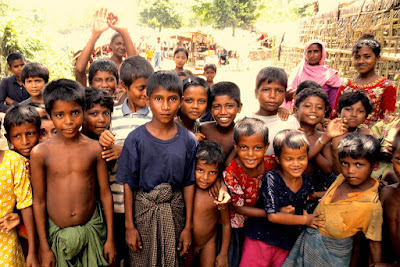 Routine immunisation coverage has been particularly low in Rakhine State, dipping below 80 percent in recent years. In some townships only 27pc of children received the three recommended doses of oral polio vaccine in 2014, WHO and UNICEF said. Rakhine State has been wracked by communal conflict since 2012, and government health services in Muslim communities are often non-existent. Lack of trust in government health staff is also a major barrier. U Thaung Hlaing, health director in Rakhine State, said vaccine-derived polio virus was detected in two children from Maungdaw township, one in May and one in November. “One child had never been exposed to vaccine, but the other had taken vaccine just once,” he said. In response to the cases, the government is launching a polio campaign across 15 high-risk townships in Rakhine, Chin, Magwe, Bago and Ayeyarwady regions, starting on December 5 to 7. Three rounds of immunisation in December and January will target all children in the townships aged under five. Two additional rounds of polio immunisation will be conducted in a further 87 townships in January and February 2016, they said. More than 3.8 million doses of oral polio vaccine will be provided to reach 1.4 million children under five years old. Myanmar was declared polio-free in 2014.